Smart travelers try to pick a destination for their vacation that will provide something for everyone in your family or group of friends! A place that can give a pause to your whirring minds, strive for a happier heart and charged up physic. A multi-day journey that offer variety into your holiday because most of us feel better if we have some structure to our time off. We have announced new tours that will be available this coming Summer. This is your chance to visit some of the undiscovered beauties of India and have a holiday that is completely new and exciting. For those of you who enjoy active holidays this is a good opportunity to get a change. Our tours are one week long and we welcome people from all walks of life. 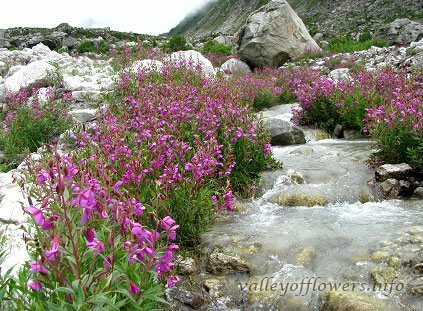 Valley of Flowers is undoubtedly energetic, exotic and beautiful location, so it is worth spending more than just a couple of days with your family and loved ones. 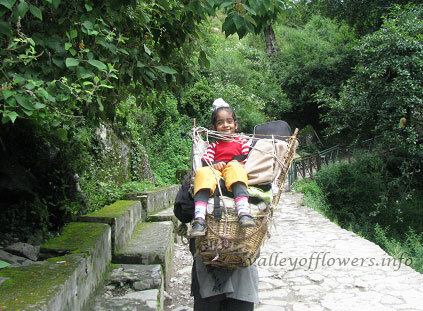 With much to do in Valley of Flowers, we have picked a few inviting imperatives spotlighted here. Serene and virgin nature of this botanical garden” Valley of Flowers” brings forth the absolute sense of freedom in you as the promised land is primarily celebrated for its glamorous efflorescence! Many uncommon flowers like Brahma Kamal, Geranium, Marsh Marigold, Prinula, Asters, Lilium, Ranunculus, Morina, Impatiens, Bistorta can be seen in abundance here. Calm but liveliest mornings would fill your kids with nectar of life, chasing birds would surely tickle their alleviated excitements. These heights into The Himalayas witness heaven where time stands still. Leisure lies in every single step of walking and trekking. Far ahead of the civilization, you, part of a primeval nature and have adventure in mystical peaks of this wonderland! Merrily marching by the banks of River Pushpawati would pour gallons of pleasure that no thoughts could over power the presence of the moment in you. 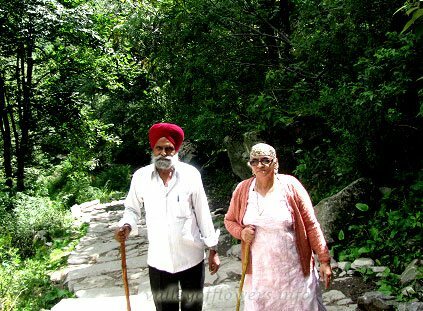 A devoted visit to famous temple of Badrinath ji and Hemkunth Sahib would fill the sacred space in one’s heart. This world heritage has also been long known for its intense beauty surrounded by over 400 inconceivable breeds of plants and animals. To experience the unique corollary of this place at the countryside is what allures many travellers of all ages. It would be truly overwhelming memories that being together with your kids and elders in the family, you can cherish being with this Perfect Creation of God. One can involve in rich exposure to photography. The experts would present a comprehensive view of nature, beliefs of locals and related mythology and traditions. 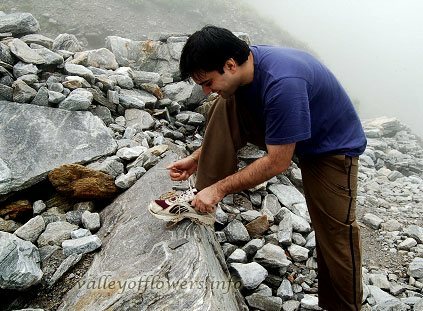 Moreover, trekking in Valley of Flowers is fairly an easy rut and can be achieved with a gentle fitness level. Helicopters or porter services for the convenience of elderly people and kids are added features of this destination. And, obviously, the importance of Dhabas is well acclaimed which are the best stopovers on the pathways. It can be your lucky chance to spend time just chilling and talking to your family. You can often make good decisions about your future and build closer ties when you have time just to be together and chant about your feelings.